To create an anxiety relievable only by a purchase… that is the job of advertising. Advertising increases familiarity, reminds consumers about your product, and spreads product news. We covered all that before. Today we’re looking at a fourth job advertising does: it defeats inertia. People don’t hate progress, they just prefer inertia. This stops them from buying your product even when it’s the logical choice. It’s not that they’re happy running projects over emails, tracking expenses in files called Expenses-march-12-v3-final.xls, or taking notes from meetings in a programming editor. It’s just not that important for them to switch. Switching is a big deal, you see. 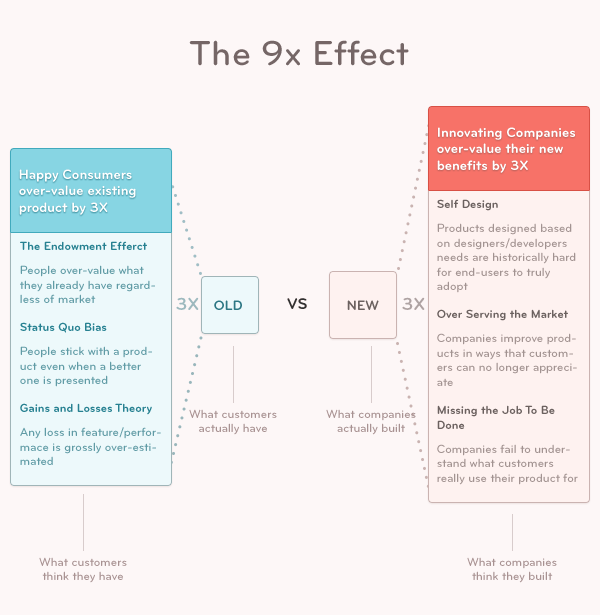 Customers don’t buy a product, they switch to it from something else. Most businesses try to motivate a switch by having the best design, the best performance, or the most features. That only affects your product quality, which is only one piece of the puzzle. 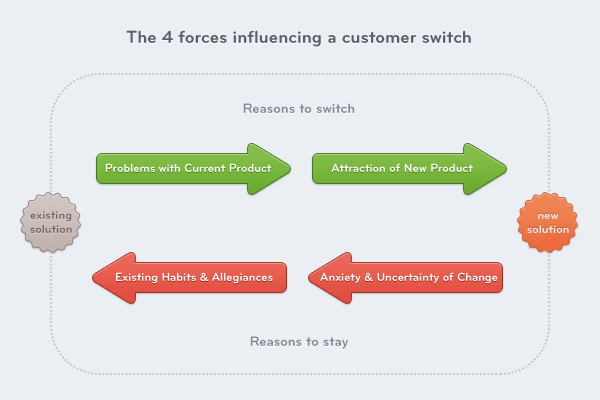 You can look at this diagram from a customer acquisition perspective, asking how can we get more people to switch to us, or you can look at it from a retention perspective, asking how can we make sure no one switches away. Increase the push away: Show how bad their existing product really is. Increase your product magnetism: Promote how well your product solves their problems. Decrease the fear and uncertainty of change: Assure consumers that switching is quick and easy. Decrease their attachment to the status quo: Remove consumers irrational attachment to their current situation. You might remember an advertising campaign from a few years back that focussed solely on influencing these four forces. The “I’m a Mac” campaign was a success. 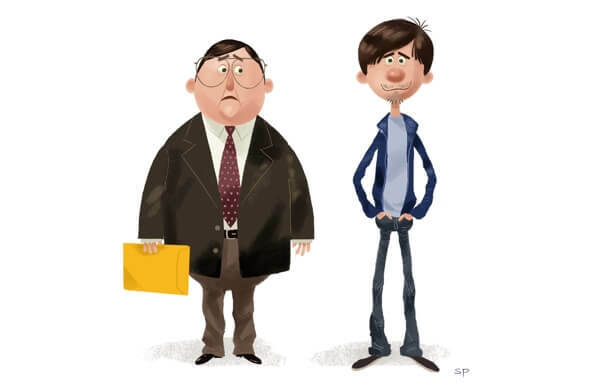 It highlighted the painpoints of Windows (1), demonstrated how great a Mac was (2), showed how easy it was to switch (3), and presented those who wouldn’t switch as buffoons, reducing their attachment (4) to old habits. In short, they created an anxiety relievable only by a purchase. To understand why inertia is so strong, you need only look at the comparison a customer makes when considering a switch. This mismatch is why new products showing only incremental improvements over incumbents rarely get anywhere. It is the genesis of the idea that any new products needs to be 10X better to get mainstream adoption. It’s only at that point that switching actually becomes a no-brainer. That’s where you want to be. Key ideas: Consider all four forces when designing adverts to win customers over. Often your product is more than good enough, but there’s another force blocking you. Advertise against that and you’ll see more movement. Understand that your market over-estimates their current solution just as much as you over-estimate the quality of your product. This means products with only marginal improvements don’t break through. The lead will only change hands when a 10X product arrives.